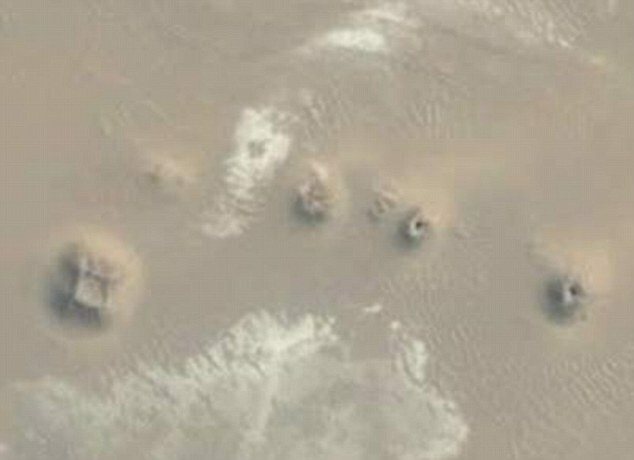 An American scientist has discovered two new possible pyramid sites in Egypt, after spending 10 years studying Google Earth. One site includes a 620ft-wide triangular plateau that’s almost three times the size of the Great Pyramid at Giza. Ms Micol, who is based in North Carolina, now plans to visit the sites to confirm they really are the location of ancient pyramids. 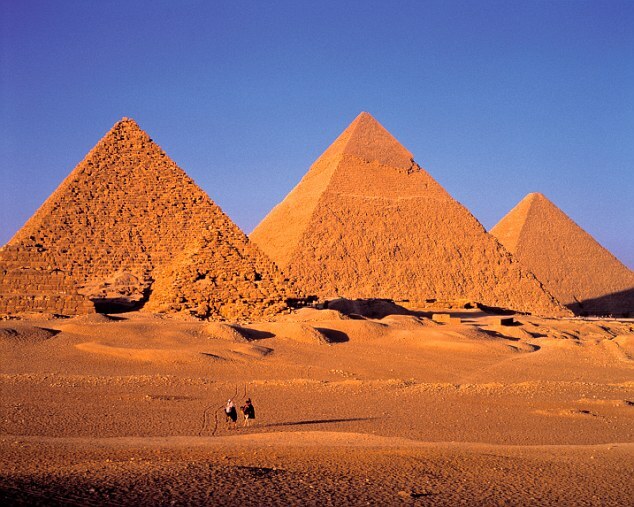 Pyramids were first built in Egypt in the 28th century BC as tombs for the nation’s Pharoahs. The most famous Egyptian pyramids are those found at Giza, on the outskirts of Cairo. Vast and elaborate structures they took many years and up to 100,000 workers to construct.To date there are 138 known pyramids in Egypt. 2700BC – The first stone pyramid was built at Saqqara, just south of Giza, for the pharaoh Djoser. Unlike the later pyramids, it was made by building layers of stone on top of each other, so it resembled a set of steps. 2600BC – The Great Pyramid of Giza was built as a tomb for the Pharoah Khufu (Cheops). Standing 147 metres hihg and weighing an estimated 6,500,000 tonnes, it’s the largest ever discovered. 2575-2150BC – The golden age of pyramids. Hundreds were constructed around Cairo. 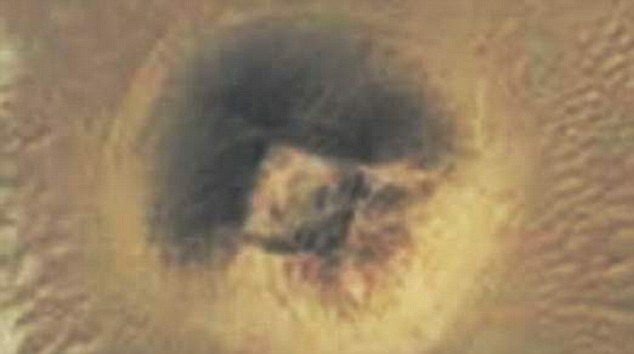 The new discovery is significant because almost all the 138 known pyramids are located near Cairo. Ms Micol’s pyramid sites are much further south. The first area sits alongside the Nile in Upper Egypt, 12 miles from the city of Abu Sidhum. 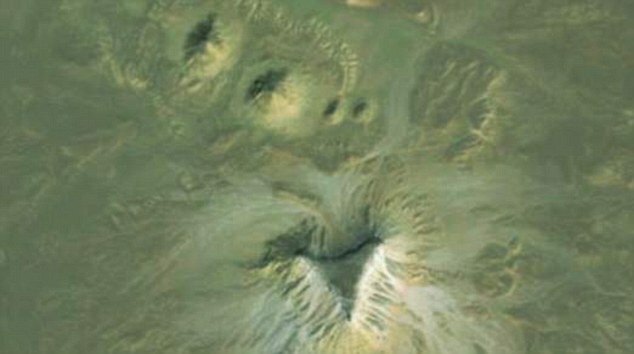 If the plateau found there represents the remains of a genuine pyramid, it would be the largest ever discovered. The second site, 90 miles north, contains a four-sided shape that’s 140ft wide. ‘It has a distinct square centre, which is very unusual for a mound of this size and it almost seems pyramidal when seen from above,’ Ms Micol said. 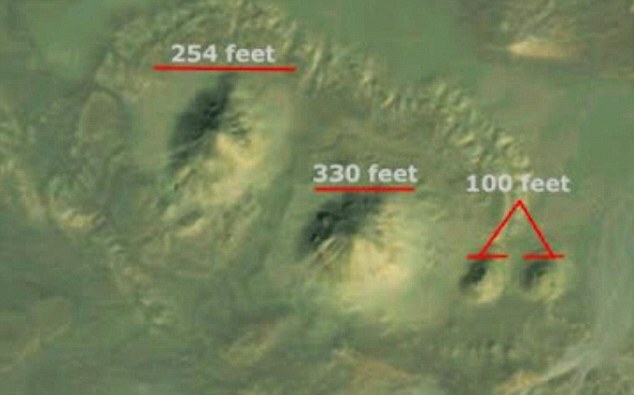 Speaking to Sky News, she added that there were also three smaller mounds: ‘similar to the diagonal alignment of the Giza Plateau pyramids. 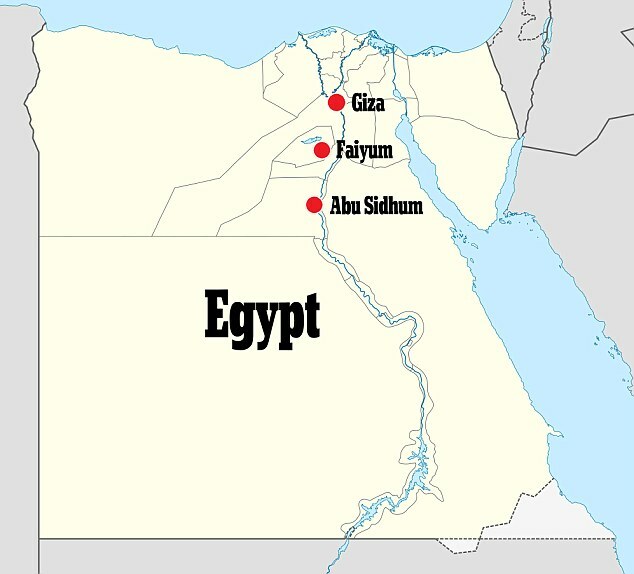 Both sites are significant because almost all the known pyramids were built around Cairo. Ms Micol’s sites are much further south. It’s not the first archeological breakthrough to have been made thanks to Google Earth – in May last year American Egyptologist Dr Sarah Parcak identified 17 lost pyramids. And Ms Micol herself has used the program to discover a possible underwater city off the Yucatan peninsula in Mexico.